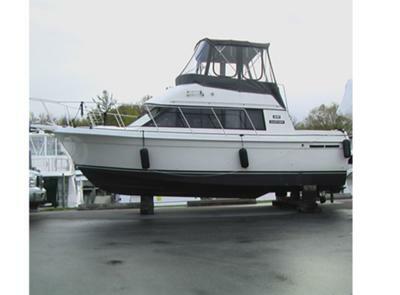 For sale: 1988 Carver 28 Voyager $25,000.00 Cdn. Great Shape! New Stringers and fiberglass from stern to bow done in 2007. Have complete work order for all. Marina maintained. Kept in covered slip at Crates in Keswick. Imron paint so no waxing required. Just wash and she shines like new! You won't find another in this condition! Twin Merc 305 with V-drives. Looking for quick sale.